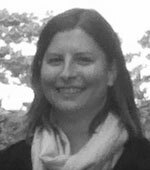 Nicole D. Peterson is assistant professor of Anthropology at the University of North Carolina at Charlotte and an affiliated researcher at the Center for Research on Environmental Decisions at Columbia University. She has conducted research in the Baja California region of Mexico, in Ethiopia, and in Charlotte, NC. Her research addresses challenges facing natural resource management, including participatory processes and decision-making in institutional contexts, the cultural and economic changes of communities involved in natural resource management, and the role of agricultural development projects in mitigating climate risks. Dr. Peterson is currently studying issues of social sustainability and food access in urban areas, and is leading the development of an NSF-funded research coordination network on social sustainability. At CRED, Dr. Peterson works on index insurance and its potential as an adaptive response to climate change in Ethiopia, as well as participatory processes. Her website has more information about her studies, publications, and courses.